Three reasons to check out 'Faith: Dreamside' – AiPT! This comic has everything a comic book fan can ask for. 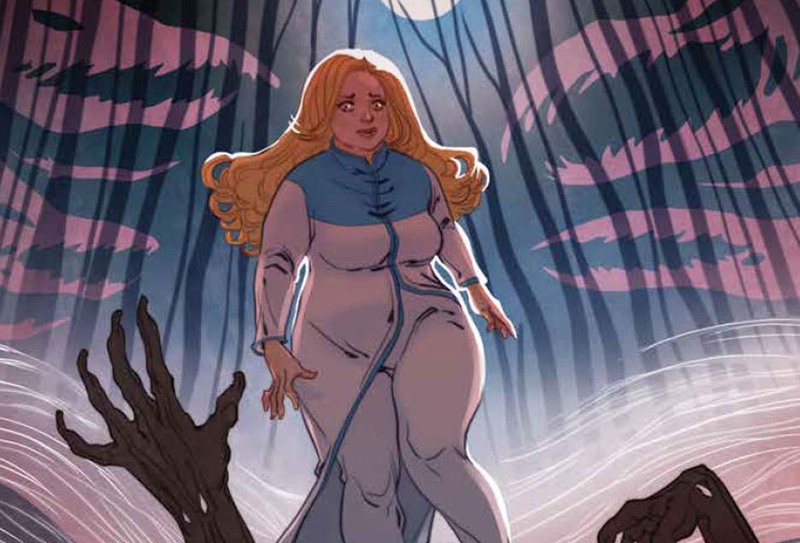 Jody Houser’s Faith: Dreamside is a fun comic that is not afraid to do things just a little different. The character is realistic, the art grabs the eye, and the story is very engaging. The comic is willing to take risks but never sacrifices its great storytelling. Here are three reasons to check out Faith: Dreamside. When it comes to comic books, realism is not a common trait with their characters. The most readers can hope for are relatable characters. It’s always neat to see heroes who are caught in situations we can understand. We agonize with them as they weigh the pros and cons of what needs to be done and in the end we understand, even if we do not necessarily agree, why. Readers are often presented with realistic situations and relatable characters. An argument can be made that comics are better this way. After all, Marvel, DC, and the other publishers are providing a form of escapism. I like reading about people who can do things I can only dream of. There is a sense of enjoyment that never goes away. Being able to relate to these superpowered beings adds to the fun. Seeing a character like Faith is refreshing. Typically, heroes that are not incredibly good looking are extremely ugly. The ones that do not fit in either of those categories are giant masses of muscles. There is nothing wrong with this. Again, this is escapism. Faith looks like someone you would see walking in your neighborhood. She is the type of person who doesn’t even warrant a double take. Even better, writer Jody Houser never makes it a point for Faith or other characters to point out she does not look like a superhero. This in itself is a form of escapism that enhances the book. It’s more than just how Faith looks that makes her realistic, though. She also speaks like a normal person. When Faith does talk in a high and mighty matter, it is silly and played for laughs. For the most part, she sounds like any other person. Comics introduces readers to people they would never have the chance to meet, but Faith: Dreamside provides a nice change of pace. The art of M.J. Kim is perfect for Faith: Dreamside. Kim’s work is incredibly detailed and engages the reader in Faith’s world. This is very important since this is an emotional book. Characters deal with everything from a resigned acceptance to incredible acts of bravery. Kim is able to get across all of these moments perfectly. Faith: Dreamide is an action packed comic. Kim does an excellent job with its many battle scenes. Faith deals with ghosts, the police, and even a kaiju! Each of these fight scenes have to be handled in a different way in order to maximize their effect. Kim does so effortlessly and makes the book a fun read. It’s great when a comic book is filled with interesting characters and great looking art, but for everything to truly come together there needs to be an engaging story. Houser is able to provide a fun one in Faith: Dreamside. This comic has everything a comic book fan can ask for. It expertly weaves humor and drama into a story that keeps the reader involved. Sometimes, Faith falls to the wayside as other characters are further developed and the pacing can feel a little rushed, but overall, it is worth a read.